Today's post might be my most unpopular. Servant-hood in itself is a touchy subject and definitely an area of growth for most of us. 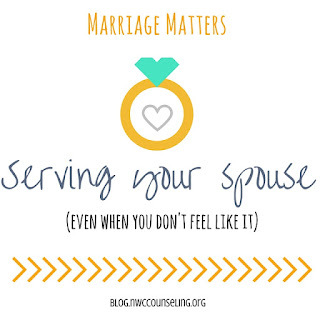 Serving can mean different things, so let me clarify what I mean when I refer to serving our spouse. The dark moments of our life. We dread them. We avoid them at all costs. We pray, we grumble, we complain, we cry, we decide we just won't (or can't). 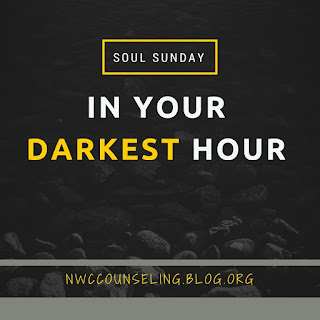 No one really tells us about the darker times we'll experience in life. 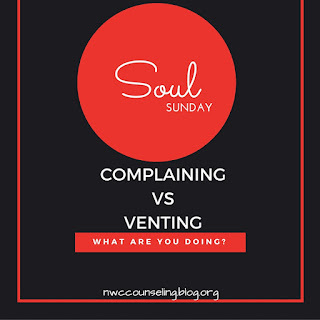 Soul Sunday: Complaining vs Venting - What are you doing? 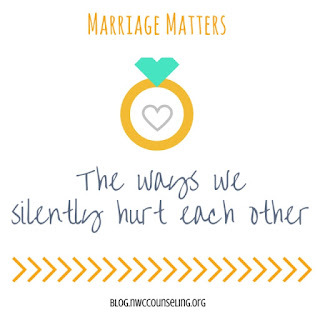 Spiritually - I'm learning that complaining (and murmuring) gets me very little in my walk with God. It prevents me from making better choices, being faithful, and guarding my heart. Essentially - it's my way of questioning God or being doubtful of him. Naturally - complaining can have the same ill effects. But wait a minute...I'm a counselor. Don't I help listen to people complain ALL day long. Don't I bank on peoples sorrows and ongoing dissatisfaction of life?